The idea of Quillin Family Medicine was conceived by Dr. Lisa Quillin, a family physician practicing in a large multi-specialty group in Eugene, OR. 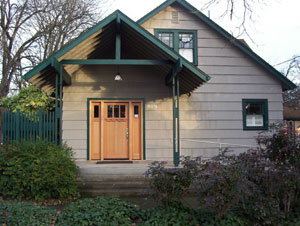 Her idea became a reality on January 5th, 2005 when she opened the doors of her office, a small 1930's house in downtown Eugene. The underlying theme for the team at Quillin Family Medicine is that we give quality, personalized care through open communication with a dedicated friendly physician and her staff.